Marshall has been paving their own lane in the crowded personal audio market that seems to be dominated as of late by some of the bigger and more flashy names out there. They always stay the course and produce some of the most aesthetically pleasing and best sounding speakers and headphones you will find anywhere. Their latest Stanmore Brown Speaker is definitely one of our favorite personal speakers available today thanks to its amazing high quality construction and look not to mention the obvious great sound they provide as well. 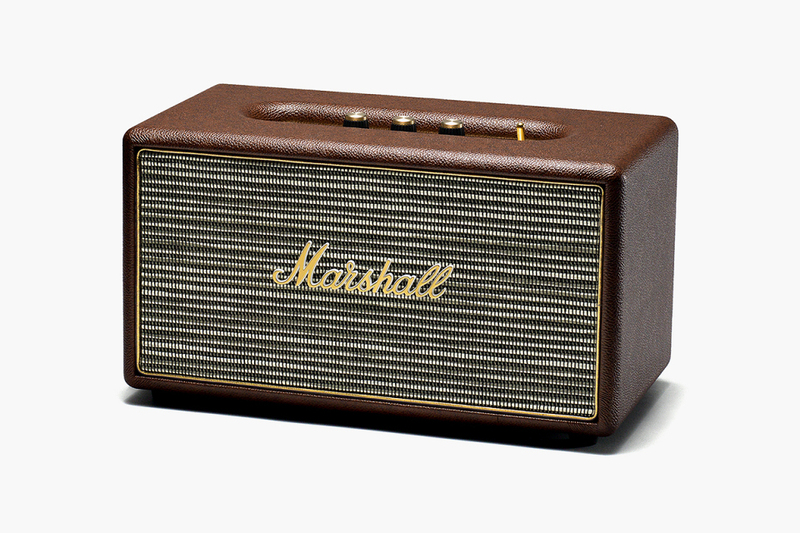 If you want to step out of the normal Beats dominated category and go for something different and truly unique we highly suggest you give this speaker a look directly from the Marshall online store here.